Bookstore owner where I would have access to all the books I want and spend my days reading. What do you feel is the biggest obstacle for women today who are interested in technology as a profession? Technology careers put men and women at the forefront of technological transformations. They are the place where creation, innovation, and science come together to solve problems, affect lives, and transform societies for the better. I cannot think of a more exciting prospect for a women or men. The lack of women in these careers is a loss to all of us. I don't think we can point to a single thing as the main obstacle. Rather it is a deeply ingrained system of gender stereotypes that divert, discourage, and slow their access to and success in these careers. What advice would you give to companies looking to increase their own percentage of women in technology roles? The small percentage of women (and other under-represented minorities) is the result of a culture with sets of expectations and stereotypes around gender roles and gender intellectual abilities. I believe that the only effective way to reverse the situation is to address the root cause and focus on creating a culture of openness and inclusivity. This is much harder and slower than quick interventions but pays off for everyone in the long run. An inclusive culture benefits not only women but all other groups and has many other benefits. What are some things that your company is already doing in order to encourage the continued growth of the female technology workforce? What are some forward-thinking ideas you have yet to put into action? The College of Computing and Informatics has been at the forefront of broadening participation in computing. It boasts one of the most diverse faculty body and student population in the nation. In North Carolina, we graduate the largest number of women in computing, the largest number of Hispanics, and second largest number of African Americans. The College houses a Center for Educational Innovation home to research and innovation in content and pedagogy that promote the success of all students. A very important aspect of the work is around inclusivity. The work of our faculty and their findings are shared widely in research publications and used by other institutions. 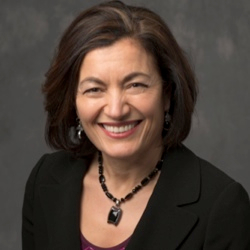 Dr. Fatma Mili joined UNC Charlotte's College of Computing and Informatics (CCI) as its Dean in August 2017 after serving as Department Head of Computer Information Technology, Associate Dean for Educational Research and Development, and then Executive Director of the TransSTEM Center at Purdue University. Mili holds a Ph.D. in Computer Science from the University Pierre & Marie Curie, Paris, France. Her research focus is in the areas of decision-making, formal methods in computing, and complex and self-organizing systems. The role Higher Education plays as an agent of social change has been an underlying theme in her work. She advocates for a STEM education embedded in ethics, for curricular design and pedagogy where inclusivity and equity are key ingredients rather than afterthought add-ons, and for a research agenda grounded in the most pressing challenges and focused on long-term impact. Interested in submitting a piece for the NC TECH blog? Visit our Marketing Toolkit page for a submission form. Questions? Contact Rachel Kennedy.